As anybody who has worked on their own property and tried painting will tell you, to get the job done right and looking great requires a lot of skill and effort. There is no short cut to take when painting your property as a bad paint job will not look great and will inevitably need re-doing. That’s why, here at Licensed.NZ we have a selection of great painters for you to contact from around NZ. All the painters listed on our site are members of Master Painters NZ, so you know you are getting top quality with the backup of a well known trade association as well. From Auckland we have John Davies Painting in Browns Bay, PBF Master Painters in Parnell , Dave McCleod Painters in Epsom, Auckland City Painters in Grafton, AJ Bowker Painter & Decorator in Pakuranga, M A Brushworks in Waitakere, The House Painters in Mairangi Bay, Auckland Plastering Group in Henderson, Global Coating Services in Albany, Paint4Me Ltd in Epsom and Sergeant Decorators in New Lynn. If you are in Hamilton, you can contact Cantec Services Hamilton Ltd for top quality painting. If you are in Tauranga or the Bay of Plenty, then contact Glen at Professional Painter for all your painting needs. In the Wellington region, MGH Decorating or Kieran Kelly Master Painter and Decorator are the companies you need to call to get that top quality finish for your property. Across the Cook Straight in Nelson is Brown and Syme Painters and Decorators. They cover the Nelson area out to the West Coast, so give them a call today and book them in for your next job. 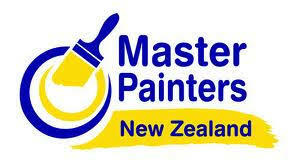 All of these great businesses are proud members of Master Painters NZ and take pride in their workmanship and trade. So don’t hesitate, contact one of them today and see the value they will add to your project.